NEOBIKE has successfully created a new image of Taiwan folding bikes to Japan, Asia and Western-Europe: bigger in unfolding, smaller in folding, lighter and safer. In 1995, we have received the award in Excellence R & D Company, and National Product Design Award from Taiwan government. Also, we have been honored "G" mark from Taiwan CETRA rewarding the outstanding design products. In 1999, the NEOBIKE products have been again awarded for the sixth time "Symbol of Excellence--It's very well made in Taiwan". 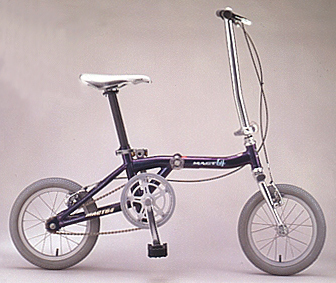 In Jan. of 1998, NEOBIKE became the first one folding bike manufacturer who has ISO9002 approval. Maintaining the top quality, continuing R&D and developing new products with its own design feature and market are the goals that NEOBIKE will never stop to achieve.